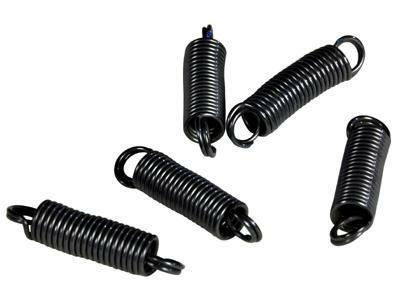 These nitinol springs are approximately 3cm long. They can be stretched to over 20cm long, which will deform the metal. However once they are heated to the activation temperature, they will instantly shrink back to their original length. There are two types of spring. These are activated at about 45 degrees Centigrade. Technical information - the composition of the 45°C springs is close to 55.8wt%Ni. The rest is Ti. All my friends are impressed with this spring. I have also the nitinol spoon and give it to friends to take the spring when it fall in the hot water. The effect is always very funny. C'est ce que j'attendais. Je montre les mat?riaux ?? m?moire de forme lors de spectacles scientifiques. To show students material with memory shape works it is perfect. They work really well. Postage was expensive given them fit in a large letter. I knew what I was ordering, description was good. Springs are well made and do not deform much over time. Please send me a note about the estimated delivery date. Thank you!